First, I have to start off by stating that there is more than one prequel to this book. I strongly encourage readers to get them. They help readers transition into this book. From the start, Anne and Danny are really into one of another. I knew this because I read the prequels. Had I not read them at all, I would have found their immediate connection off. It is like walking right dab in the middle of a relationship with no background. Anne’s dream of being a firefighter comes to a halt when one impulse decisions plays out wrong. She is disfigured and her career is over. She struggles to figure out her next step. Meanwhile, Danny struggles with his role in the demise of Anne’s career. The start of their relationship is pretty rocky and with the accident looming over them it is almost doomed. I have to chalk up some of issues with this book as the first in the series syndrome. I didn’t connect with the main characters. Anne and Danny have a lot of issues that they need to deal with. The undertone displayed in the book is rather dark and depressing. On one hand, I did appreciate it for its realistic portrayal. On the other hand, it brought a shadow over the book that left me wanting something a bit softer. Anne comes from a blue collar background. Her brother Tom is the Fire Chief. Their father died in the line of duty. Anne’s mother is almost impossible to tolerate. I think Anne’s desire to want to prove to her brother that she can be in a male dominated field, her ill-behaved mother and her father’s death, played such a big part into my disconnect with Anne. She is just closed off and stubborn. Danny struggles with guilt for the majority of the book. He also struggles with the impact of being a firefighter. He is placed in a traumatizing situation and his coping mechanisms leads him down a dark but realistic path. Unfortunately, he is spiraling out and then he is not. He gets a handle on himself which left me confused. Initially, the book starts off with things revved up with high action. Somewhere towards the middle and a good chunk of the book it slows down tremendously. 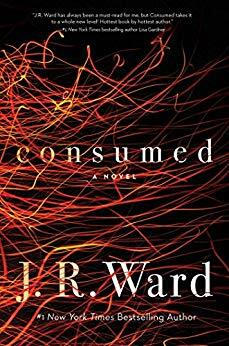 Ward spends time focusing on the details of being a firefighter and all of the side characters that the plot is lost. The ending picks back up but it was not enough to keep me satisfied. The romance with Danny and Anne took a back seat as I became more intrigued by the arson mystery. There are a lot of characters and the set up for what could potentially occur with them. This didn’t necessarily bother me because that is Ward’s normal style as of lately. I appreciate it because I love a good series but I can tell that it also distracts from the main character and their romance. I’m very curious about Anne’s brother. He is not an easy character to like but I want the author to dig deeper into his gruff exterior. Despite some of my misgivings, I’m willing to see what is next for this series.